Click here or type in http://smarturl.it/winningglory into your web browser to pick up your copy of Winning Glory in the Amazon Kindle store. 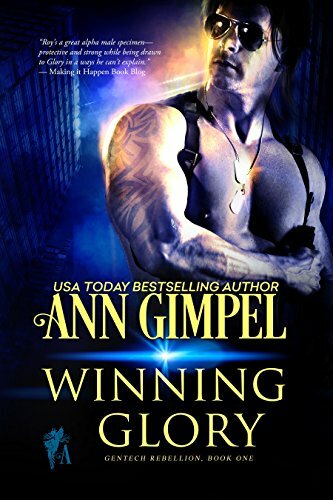 Ann Gimpel is USA Today bestselling author. She’s also a mountaineer and vagabond at heart. She’s stood on top of some really gnarly peaks, and discovered Zen mindfulness comes in very useful when the only other option is screaming your lungs out or curling into a fetal position because you’re too scared to do anything else. She loves to travel. 2014 was the “Antarctica Year.” 2015 was mostly writing, but after two trips to the southern pole, she headed to the Canadian Arctic and the Northwest Passage. Be sure to check out the polar bear photos on her FB wall or her website. 2016 was backpacking and a two month cross country trip in a motorhome. 2017 may well see her back in Antarctica. A lifelong aficionado of the unusual, Ann began writing speculative fiction a few years back. Since then her short stories have appeared in a number of webzines, magazines, and anthologies. Her longer paranormal romance and urban fantasy books are available in print, audio, and e-format. She recently made the leap into self-publishing, loves the freedom, and it’s possible she’ll never look back. 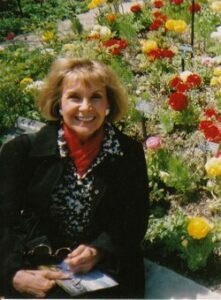 You can visit Ann’s Amazon author page if you click here or type in http://smarturl.it/anngimpel into your web browser. 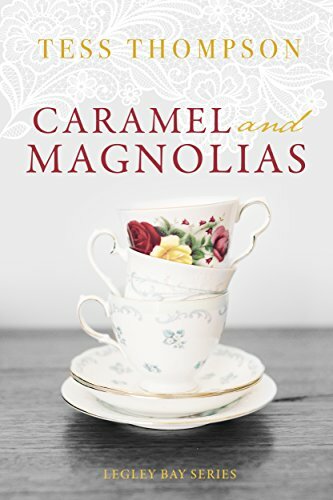 Click here to pick up your free copy of Caramel and Magnolias in the Amazon Kindle store. 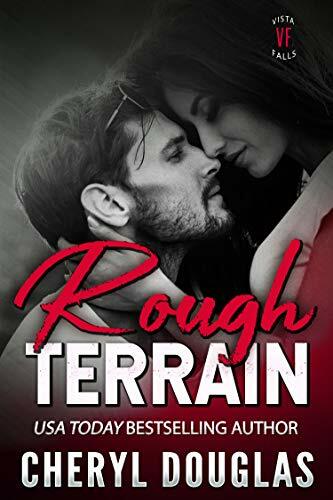 Click here to pick up your free copy of Rough Terrain in the Amazon Kindle store. 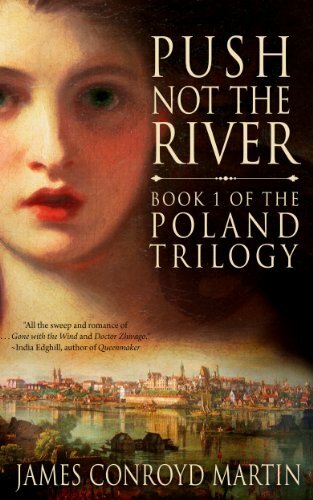 Click here to pick up your free copy of Push Not the River in the Amazon Kindle store. For eight long years, Detective Inspector Lorne Simpkins has tracked the vicious criminal known as The Unicorn. But the killer has frustrated MI6 at every turn and remained successful at Impeding Justice. When Lorne is targeted in a trap that results in the death of her partner, the tragedy shakes her confidence to the core. Before she has time to recoup, her teenage daughter is kidnapped. More than Lorne’s professional reputation rests on her bringing The Unicorn to justice. 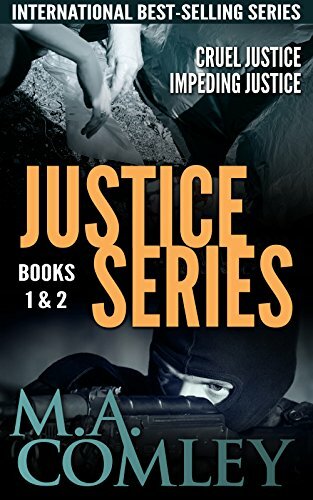 Click here to pick up your free copy of Justice Box Set Books 1 & 2 in the Amazon Kindle store. List in-hand of suitable bachelors, Lady Reanna Halstead, the epitome of naivety, is thrust into London society with demands to gain a husband. To her utter amazement, she manages to capture the attentions of the Marquess of Southfork. Her love, dreams, and future are soon pinned on her marriage to this one man. One handsome, kind, fantastic man. One man, who has a very different idea of what this marriage will be. Killian Hayward, Marquess of Southfork, is only one step away from completing the revenge he has fought his entire life for. All he has to do is marry Lady Halstead. The one woman that is the key to his revenge. To his peace. The one woman that will threaten the very foundation of his entire existence. One destined to live life on the seas. As captain of the Windrunner, Katalin Dewitt has one mission in life. Serve the ship. The ship that has been her home her entire life. The ship that is the key to keeping her father safe from certain death. She never expected to take pity on an injured deckhand from an enemy ship and allow him onto the Windrunner. And she certainly never expected to allow him into her life. One determined to make his way home. Bound, gagged, and held captive on one ship after another for two long years, Jason Christopherson had long since given up hope of ever getting back to land, much less to his beloved England. He never expected to land on a pirate ship, bound for land. And he certainly never expected to fall in love with his new captain, threatening the one thing he needed most in life-to return home. Neither expected to fall in love. Neither expected to be torn apart by a brutal betrayal. Click here or type in http://smarturl.it/euqoe4 into your web browser to pick up your copy of Hold Your Breath Box Set in the Amazon Kindle store. Click here or type in http://smarturl.it/921 into your web browser to pick up your copy of Tourist Trap in the Amazon Kindle store. 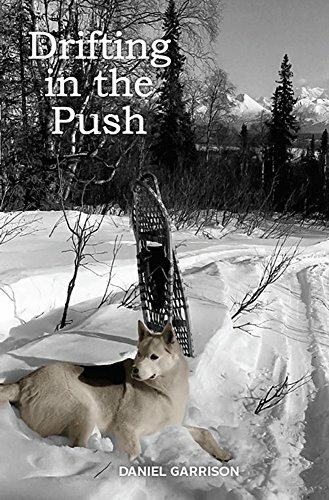 Drifting in the Push is a fast-paced, comical romp that takes the reader on a journey through the unintentional adventures of one man’s reality. 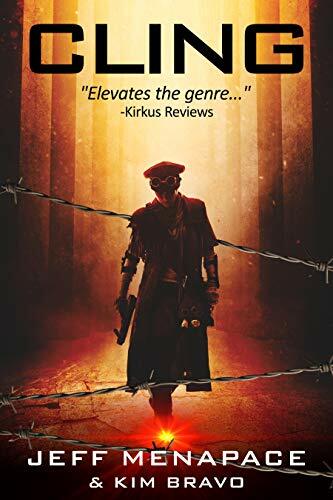 From the Rocky Mountains to the Pacific Ocean, from Mexico to Alaska, missteps, stubborn obstacles, and fate are his constant companions, along with an offbeat assortment of entertaining characters. From time to time, his escapades include his two childhood friends—Bryan, who follows him to the unforgiving Arctic, and Shane, who steers him down an unpleasant alley or two. Amid this craziness, he picks up another friend—Hank, his devoted dog. This chronological series of interdependent short stories will take you from fear to love, amusement to surprise, and it just might occasionally leave a tear in your eye. Click here or type in http://smarturl.it/23xgy1 into your web browser to pick up your copy of Drifting in the Push in the Amazon Kindle store. Ecuador. A dream holiday turns into a nightmare when two young men are stranded in the Ecuadorian rain forest after their plane crashes. Desperate to survive, they decide to set off on a daring journey through the ‘green hell’. Despite the harsh environment sucking their strength away, they push on until they enter a territory inhabited by isolated Indian tribes hostile to outsiders and where probably the fabulous treasures destined for the last Inca emperor Atahualpa’s ransom, are hidden. Soon, unexpected dangers arise. 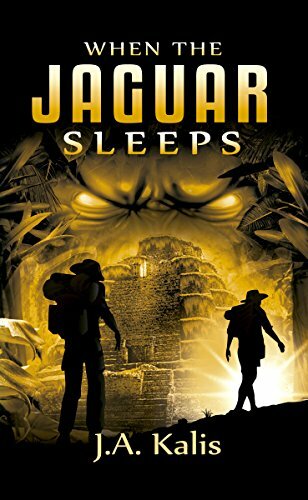 Click here or type in http://smarturl.it/v4y2u8 into your web browser to pick up your copy of When The Jaguar Sleeps in the Amazon Kindle store. 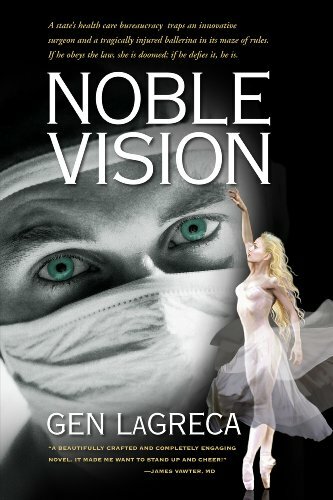 Click here or type in http://smarturl.it/noblevision into your web browser to pick up your copy of Noble Vision in the Amazon Kindle store. Genevieve (Gen) LaGreca writes novels with innovative plots, strong romance, and themes that celebrate personal freedom and independence. Provocative ideas to challenge the mind and passionate characters to excite the spirit. Stories of unusual people doing unusual things; stories about pressing issues and unnerving conflicts; stories that inspire us to rise above obstacles and reach for our dreams. These are the stories Gen loves to write. In addition to fiction, Gen also writes social and political commentaries, which have appeared in Forbes, The Orange County Register, The Daily Caller, Real Clear Markets, Mises Daily, The Gainesville Sun, and other publications. Prior to fiction writing, Gen worked as a pharmaceutical chemist, business consultant, and corporate writer. She holds an undergraduate degree in chemistry from Polytechnic Institute of New York and a graduate degree in philosophy from Columbia University. 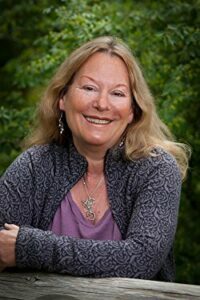 Her variety of life experiences–in science and business, as well as in philosophy and writing–brings vibrant characters, urgent issues, thematic depth, and an outside-the-box approach to Gen’s novels. Their sweeping themes of self-sovereignty and the triumph of the individual attract thoughtful readers across genre lines. You can visit Gen’s Amazon author page if you click here or type in http://smarturl.it/lagreca into your web browser. Private detective Jesper MacMillian is sure he’s seen it all. Following a long recovery after a horrific accident, his life is finally the way he wants it- or at least, close enough. The only monsters on his radar are the ones that keep him awake at night. When a grief-stricken couple begs him to find their lost son, it seems like just another day at the office. Before MacMillian can brace for impact, Lena drags him into a world where monsters aren’t just real, they’re hiding in plain sight. 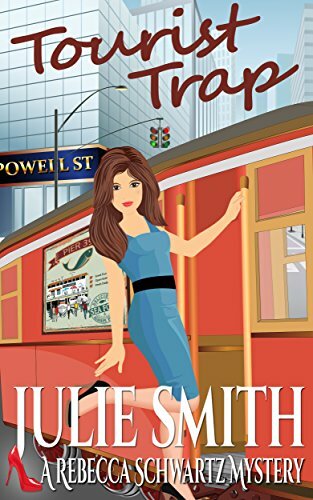 A deadly threat is lurking in San Francisco’s dangerous underbelly, and it’s going to take both of them to put it down. For Lena, it’s another day at the office. 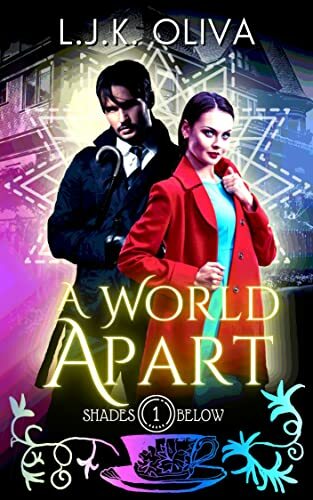 Click here to pick up your free copy of A World Apart in the Amazon Kindle store. 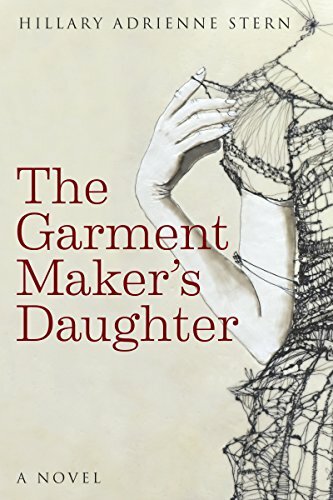 The Garment Maker’s Daughter is a multigenerational saga of immigrant dreams and sweatshop realities, labor strikes and women’s rights. It is the story of Lena Rothman, a shirtwaist-maker and active suffragette whose plans get derailed when she falls in love with her best friend’s boyfriend; Jake Brenner, a passionate labor organizer determined to lead the shirtwaist-makers on a high-stakes strike; and Daniel Cowan, a brilliant and ambitious night-school student hobbled by a shameful past. Fate draws them together. Emotions bind them to each other. But secrets will tear them apart. When a devastating blaze engulfs the shirtwaist factory, Lena must fight for her life. And in the chaos of the fire’s aftermath, mistakes will be made with consequences and secrets that continue into the next generation. Spanning the first half of the twentieth century, this is a story about unforgettable characters and the threads of friendship, love, betrayal, and redemption that form the fabric of their lives. Aria hasn’t had the easiest life but she knows it could have been worse. She’s got the most supportive best friend, a growing podcast, and has just landed an interview with the successful, gorgeous CEO, Evan Wolfe, which could finally mean the big break Aria’s been hoping for. When the interview doesn’t go as planned, Aria finds her world turned upside down and her nightmares become reality. She learns that there’s much more to Evan Wolfe than just good looks and uncanny business sense. She discovers monsters are very real; she could be one of them. In the end, Aria is forced to choose between reality and the dream, if only she can determine which is which. 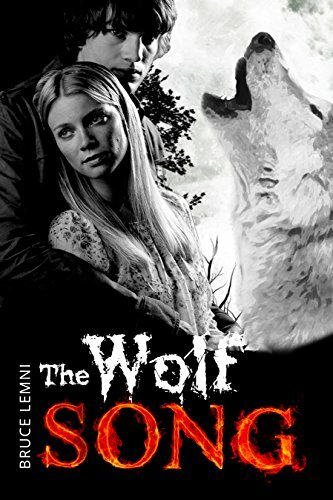 Click here to pick up your free copy of The Wolf Song in the Amazon Kindle store. Love and babies: two things Lucy doesn’t have time for in her life. It’s 1926 and this young West Australian woman is happy as an accountant. And she intends to stay that way. Along comes Giorgio, an Italian migrant fisherman sent to Australia in disgrace. The moment their eyes meet across the fish market, he knows Lucy’s the girl for him. If it weren’t for those damn crabs and his reputation as a rake, he’s certain he could catch more than just her eye – perhaps even her heart, too. A tale of crabs, cricket bats and catching your heart’s desire in Jazz Age Western Australia. 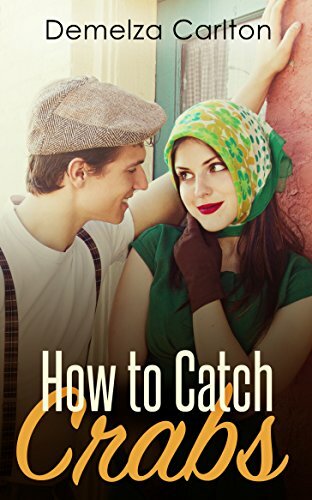 Click here or type in http://smarturl.it/oi1t1y into your web browser to pick up your copy of How to Catch Crabs in the Amazon Kindle store. 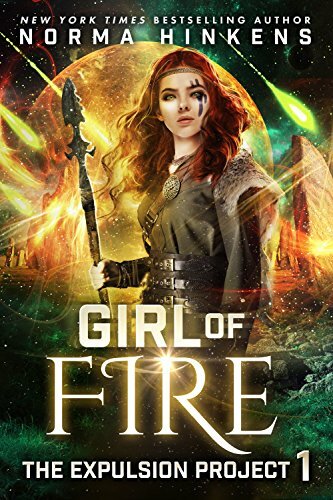 Click here or type in http://smarturl.it/vo1ph2 into your web browser to pick up your copy of Girl of Fire in the Amazon Kindle store. David “Tool” Roney is a dangerous man with a moral code. 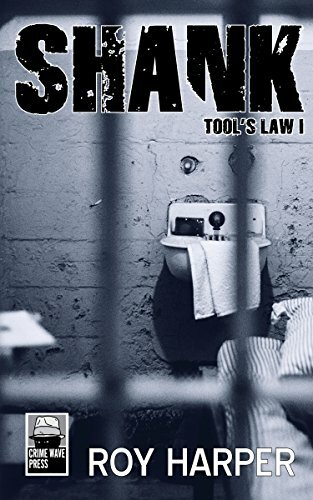 Stuck in brutal Parchman Maximum Security Prison in Mississippi, doing life for armed robbery, and abused by his guards, he is consumed by only one thing – escape. His plotting pays off, and together with two other inmates he breaks free. But escaping and staying free are two different things. Tool hits the road with only one thing in mind – to return to the prison and to take vengeance on his tormentors. That’s Tool’s Law. But then he meets a girl called Rose. With the police on his heels, injured and deep in the Mississippi woods, he has no choice but to trust her. For once good fortune is on Tool’s side, the girl turns out to be a bit of an outlaw herself and nurses him back to health. But his demons will not let go, he hunkers for revenge and engages in several robberies to make money. And while the ex con slowly opens his heart to his Rose, his old habits take a long time to die. Rose, keen to hang on to her man, makes Tool an offer he can’t refuse – his own shack, deep in the woods, far from the arms of law enforcement. Tool is more than happy to take her up on it. But will it be enough to give up his plans for revenge and his career of crime and carnage? Click here or type in http://smarturl.it/shank into your web browser to pick up your copy of Shank in the Amazon Kindle store. Adenine is blind and isolated in her small attic bedroom. Convinced she is the last carrier of the Death Plague, she avoids contact with the outside world. Soon, she is surrounded by new friends… and enemies she never knew existed. Every secret unravels. Every lie is discovered. Now Adenine’s life depends on who she decides to trust. 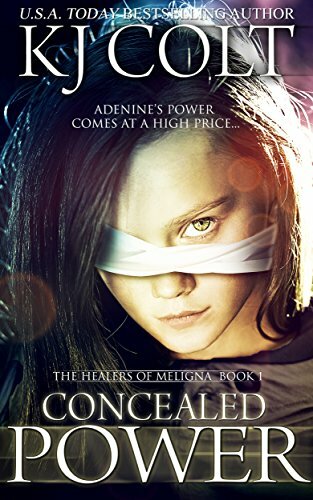 Click here or type in http://smarturl.it/ik8jif into your web browser to pick up your copy of Concealed Power in the Amazon Kindle store. NOT BLACK, BUT LIVES OF EVERY TINT, SHADE AND, HUE MATTERS. ALL PEOPLE’S LIVES MATTER IS A BITTERSWEET NOVEL FOR READERS WHO CAN APPRECIATE THAT NO ONE LIFE MATTERS MORE THAN ANOTHER…[with] LESSONS THE WORLD MUST LEARN AND NEVER FORGET. In a Midwestern city swept by polarizing protests Holly, a young idealist and social activist, joins All People’s Lives Matter. Tragedy unfolds when utopian-minded Holly is exposed to the intense fanaticism of the movement. Set against a vast and richly textured canvass of social unrest, doubt and hesitation, All People’s Lives Matter is a story of disillusionment, heartbreak and resilience. Click here or type in http://smarturl.it/022617 into your web browser to pick up your copy of All People’s Lives Matter in the Amazon Kindle store. Billy McCoy lives in Minneapolis, Minnesota. 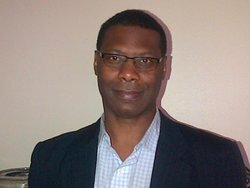 He is the author of more than a dozen novels including Strange Fruit, All People’s Lives Matter, The Atlas Obsession and Remembrance of Times Gone. You can visit Billy’s Amazon author page if you click here or type in http://smarturl.it/mccoy into your web browser. In a small Adirondack Mountain town, secrets are hard to keep. No wonder Trout Run, NY is shocked when sweet, dowdy Mary Pat Sheehan dies from complications of childbirth. No one even knew she was pregnant. How did she hide her condition? Who is the father? Mary Pat’s devout parents are frozen in denial, but Police Chief Frank Bennett is determined not to let this scandal be swept under the rug. The more he digs, the more convinced he becomes that Mary Pat’s baby is very much alive. That someone is criminally responsible for Mary Pat’s death. And that other vulnerable young women are at risk. When Frank uncovers a highly profitable black market adoption ring operating on his turf, he is determined to root it out. But cooperation is hard to find. For loving couples desperate to create a family, the lure of a healthy white infant is impossible to resist. And for wily manipulators desperate for cash, the lure is even stronger. Now Frank must navigate the dangerous intersection of love and greed. And one wrong turn could spell death to those he most wants to protect. 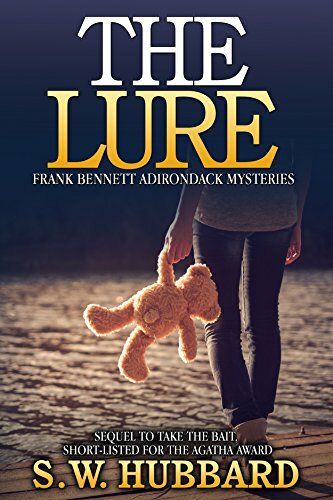 Click here to pick up your free copy of The Lure in the Amazon Kindle store. Ride down the greatest American rivers of the West with Native Americans, mountain men, French trappers, bold women, and mystical wanderers. The Wild Rivers West series is richly told historical fiction of high adventure. Longings and determination are experienced through the characters, events, and luxurious writing. Read it. Live it! Hailed by the Los Angeles Times as “an adventurer’s story told as never before,” this is the saga of a man compelled by the dark, delicious grasp of a river to carve out a home in America’s most awe-inspiring backcountry. Native Americans, the first few white people who dared to explore the West, and the settlers who followed all, braved a glorious and treacherous wilderness to stake their lives on the bounty of the great rivers charging out of the Rocky Mountains. 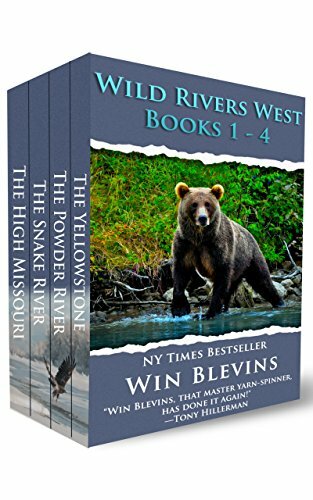 Mac Maclean, finds his destiny high in the headwaters of the Yellowstone—the swift river of life, death, and dreams—that rumbles through two majestic waterfalls and charges across the vast plains of Montana. Venturing into uncharted territory, he creates a life fully his own. And he has no idea that future generations will honor his memory and build on the life he created on the banks of the river he called home. The adventure unfolds during the dramatic journey of the determined Cheyenne Native Americans from Indian Territory back to their Montana homeland and the mighty Powder River. The northern Cheyenne still call the Powder River country their sacred home. But, held captive far to the south in so-called Indian Territory, the remnants of this once-mighty nation are growing weak. To survive, they must battle their way across fifteen hundred miles to their ancestral home, fending off pursuit by thousands of well-armed soldiers. A son of Ireland embarks on the adventure of a lifetime in this tale of men and women bold enough to take on one of the wildest rivers in the West. In the 19th century, those who followed the treacherous, sidewinding course of the Snake River were carried to some of the most beautiful country on earth: the untouched Pacific Northwest. Flare O’Flaherty—mountain trapper and gambler—sets out on an incredible journey when he agrees to lead a group of missionaries downriver to the remote headquarters of the mighty Hudson’s Bay Company. There he faces the greatest challenge of a wandering man’s lifetime—an extraordinary woman who teaches Indian children. He also meets a young Shoshone in search of the white father he never knew. Together they find their destiny along the mighty river that bears the shape of a serpent and holds the promise of home. Dylan, a would-be priest, explores America’s Northern rivers and mountains. On his journey, a beautiful woman teaches him about love, lust, and betrayal. And a strange, white-bearded enemy instructs him about fate in this quest toward the legendary High Missouri River. Dylan learns what it means to brawl, scratch, and struggle—for his life and for his soul. Click here to pick up your free copy of Wild Rivers West Adventure Series in the Amazon Kindle store. 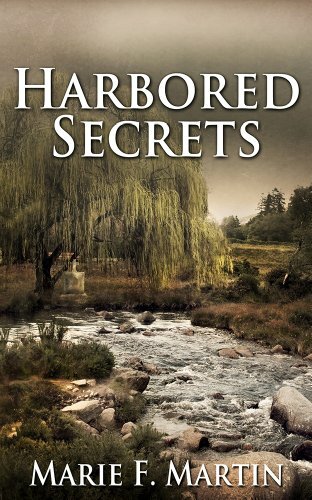 Click here to pick up your free copy of Harbored Secrets in the Amazon Kindle store. Brave, smart-mouthed female reporter tackles three murder mysteries—for a killer price! Keeping out of trouble just isn’t on Leah Nash’s list of accomplishments. But reporting is—and she has ten years’ experience to prove it. So if she’s such great reporter, why is she back living with her mom in freezing Himmel, Wisconsin instead of covering crime in sunny Miami? Answer: Good reporter, even better smartass; fired in disgrace—twice (well, once she quit, technically). In other words, everybody’s favorite kind of female sleuth: smart with a smart mouth, intensely independent, willing to go where no one else will, and, when you get right down to it, fearless. She dives into the mysterious, watery death of a nun with ties to Leah’s sister…whose death years ago was even more mysterious. She delves into the apparent suicide of a doctor with ties to a drug ring much bigger than small town Himmel. And she investigates the cold case of a high school sweetheart…whose town-wide adoration is almost too good to be true. Susan Hunter’s somewhat cozy, sometimes hard-boiled, and altogether absorbing small town mystery series gets off to a chilling start as Leah watches city crews try to stop a dead oak adrift on the swollen Himmel River from colliding with a dam. And suddenly finds herself looking at this potential headline: “Dead Nun Floats Into Town.” Because it turns out the oak picked up quite a bit of debris in its journey, including a body. “All of us are dying,” states a cryptic Betty Meier to no-nonsense (and oft-accused smart-mouth) reporter Leah Nash one morning, Hours later, Betty’s house ends up torched—and Leah’s covering it for the tiny Himmel Times Weekly. 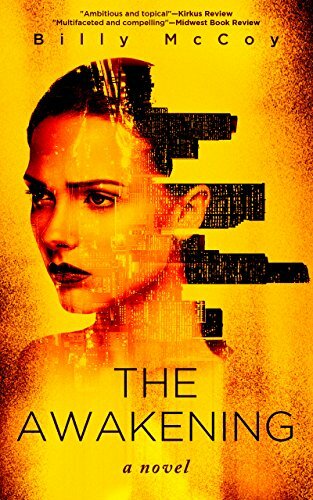 And then she receives a midnight phone call from a mysterious young woman named Isabel, begging her to investigate the death of her wealthy father, Garrett Whiting, a renowned surgeon with possible ties to fraudulent activity. Boohoo, thinks our heroine. Except Isabel found him in his study with a bullet to the brain and a poisonous rum and coke in hand. Things are finally looking up for Leah Nash. A former investigative reporter (and admittedly reputable smart-mouth), she’s now a full-time true crime writer. And after the publishing of her first book, she’s finally home-sweet-home in small town Himmel after a whirlwind 3-month book tour. 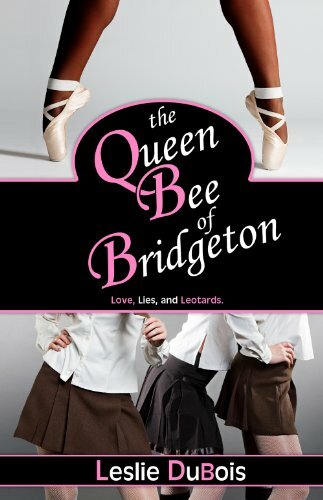 But her homecoming library reading is interrupted by Sammy, a childhood friend whose brother was long ago accused of murdering his high school sweetheart, Heather. Sammy begs Leah to re-investigate Heather’s mysterious disappearance—a cold case decades old. And when she does, she discovers town secrets even she never saw coming. 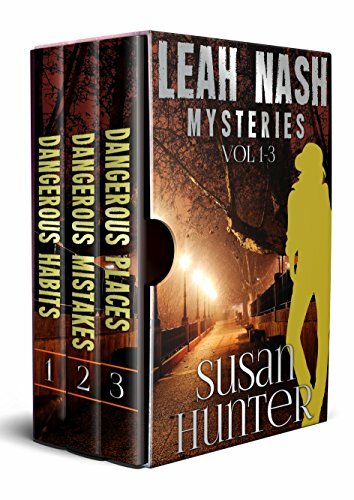 Click here or type in http://smarturl.it/n1l5gq into your web browser to pick up your copy of Leah Nash Complete Mysteries in the Amazon Kindle store. 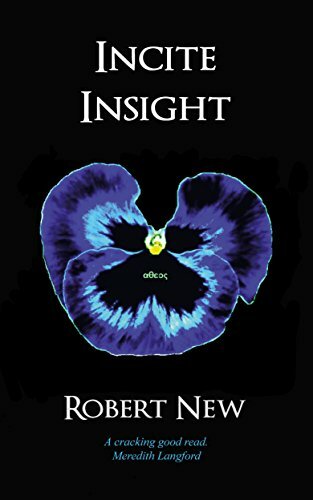 Click here or type in http://smarturl.it/nmldcn into your web browser to pick up your copy of Incite Insight in the Amazon Kindle store. 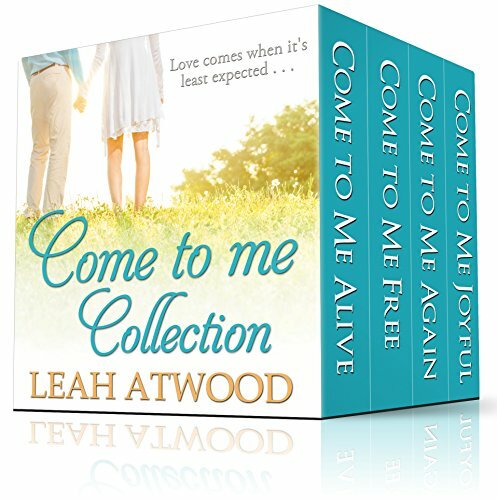 The complete Come to Me Series from bestselling author Leah Atwood, now available at a discounted price. 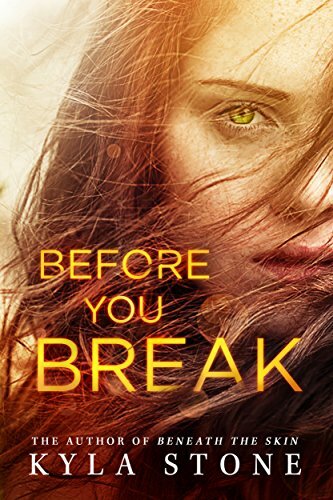 Sophie Thatcher has never been a risk taker but never thought her life lacked until her boyfriend of three years breaks off their relationship. Only then, does she begin to question what she’s missed by always playing it safe. Meeting Bryce is a call to action. She can let fear rule or trust in faith, which means taking the biggest risk of her life. Career-driven Dani Trahan wasn’t interested in finding a husband. At only twenty-eight, she had plenty of time in her future to settle down and have a family, but for now, her sole focus was keeping her restaurant afloat. When tragedy strikes, however, she’s forced to examine her priorities and relationships. Rob Jackson didn’t do relationships. He’d long ago accepted that happily ever afters didn’t belong to him. That was a decade ago, right around the time he stopped believing in God. Then he met Dani, and for the first time in ten years, he wanted to believe again—in love and in God. To move beyond friendship, Dani and Rob must first accept several truths, but can they learn to rely on faith before it’s too late? Kate Jergens presents her life as the picture of perfection to everyone outside her close-knit circle. Old insecurities prevent her from letting people see who she really is. As the holidays approach, events cause those insecurities to reappear. When Luke Tatum catches his co-worker, Kate, with her guard down he realizes he doesn’t know her as well as he thought. As he discovers who Kate really is behind her mask of flawlessness, his admiration for her grows and he finds himself more drawn to her. When faced with the possibility of losing someone she loves, Kate’s faith wavers. This Christmas season, will she accept support from the man who loves her or will she push him away? Click here or type in http://smarturl.it/t7mlhr into your web browser to pick up your copy of The Come to Me Complete Collection in the Amazon Kindle store. Widowed former Hollywood actress Devynne Lang has been living a quiet life in the San Juan Islands of the Pacific Northwest. For years, she’s hoped her fabricated death would keep her identity safe from the public, and more to the point, from the stalker who forced her into hiding. 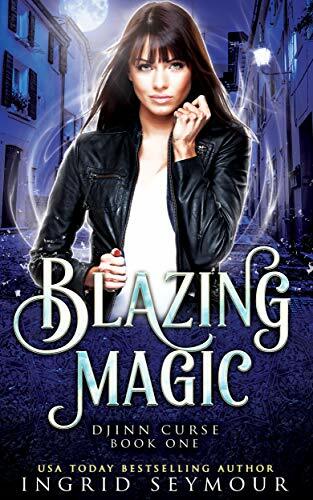 But strange things have been happening around her place and this time, with a daughter to protect, she can’t afford one mistake–even if it means letting Carcen Lang get close enough to help. Bethany Sheer’s weak heart means she stays away from emotion at all costs. Gavin Parmiggiano isn’t proud of his past with women, but he finds himself falling for his new boss. Can he break down her walls and protect her heart when she falls, too? 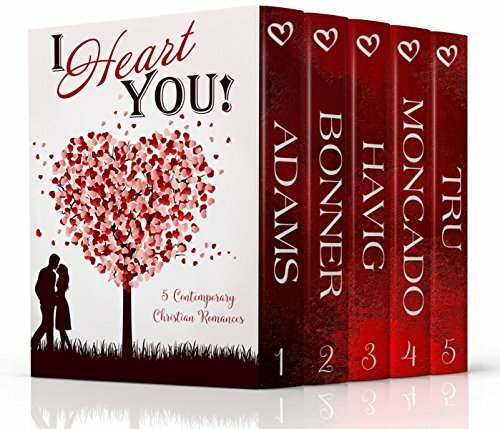 Click here or type in http://smarturl.it/iheartyou into your web browser to pick up your copy of I Heart You Box Set in the Amazon Kindle store. 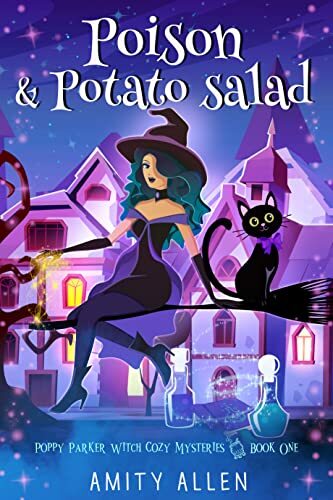 Click here or type in http://smarturl.it/1b7sqa into your web browser to pick up your copy of Pick Your Potion in the Amazon Kindle store. Dr. Grayson Carter had a good life. She was in the last year of her residency training, primed and ready for one of the most premier orthopedic trauma fellowships in the country. She had wonderful friends, a fulfilling career…what she thought was the perfect life. The sudden death of her protege has turned her world upside down. 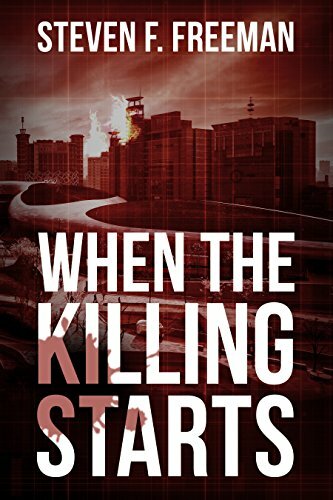 What started out as an unfortunate accident has quickly turned into a horrific murder. As the fall days tick away, the life she has worked so hard for is steadily slipping through her fingers, a happy life exchanged for excruciating chaos. Detective Gabriel Ryder was on thin ice. His last case had been a disaster. A child was dead, another would never wake up, and it was his fault. He couldn’t sleep. His partner of four years had all but submitted his transfer papers. The position he had worked so hard for was disappearing before his eyes, and there wasn’t a thing he could do to stop it. But now, an early-morning call out to a local seminary holds his career in the balance. If only he’d known just how much of his life would change with a single chance meeting…. 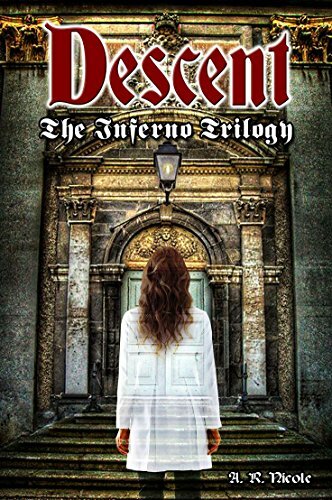 Click here or type in http://smarturl.it/6io2hn into your web browser to pick up your copy of Descent in the Amazon Kindle store. 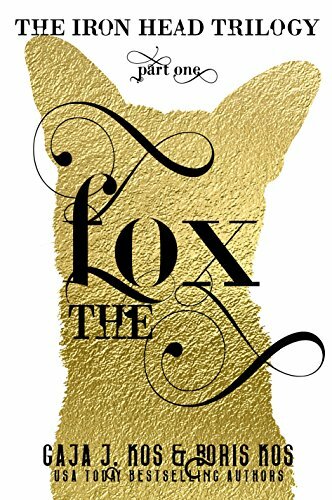 Click here or type in http://smarturl.it/hv8nii into your web browser to pick up your copy of The Fox in the Amazon Kindle store. 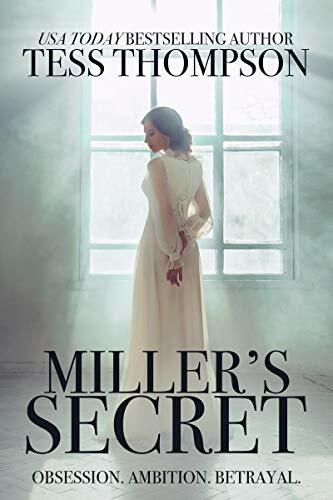 Caroline Bennett’s heart is as big as her father’s fortune, but her insecurities make her susceptible to Miller’s charms. Will the decisions of her youth destroy her family and her future? Click here or type in http://smarturl.it/millerssecret into your web browser to pick up your copy of American Ballerina in the Amazon Kindle store. 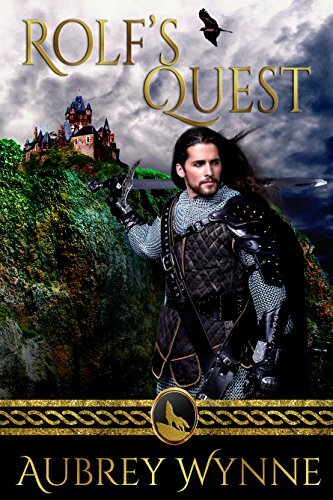 Click here or type in http://smarturl.it/rolfsquest into your web browser to pick up your copy of Rolf’s Quest in the Amazon Kindle store. 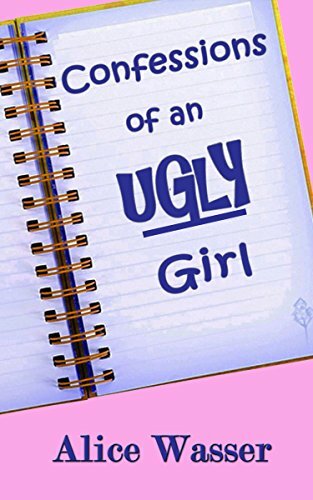 Its satirical humor sometimes black and irreverent, POLK, HARPER & WHO is a contemporary tale of complex family relationships, of friendships being put to the test, and of imperfect London love within imperfect London lives. Click here to pick up your free copy of Polk, Harper & Who in the Amazon Kindle store. His time now exclusively devoted to writing, The Dead of August was his first novel, a contemporary satire set in London, where he lives. 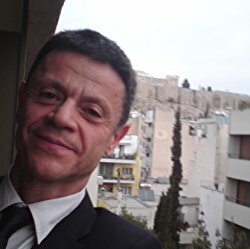 His own experiences while working in the city as an artist, together with the colorful relationships of many of his friends, provided Panayotis with a wealth of material to draw on. Surprisingly all his friends are still talking to him, and none of them are planning to sue him. Panayotis’ favorite pastime is going to the movies, and ever since his friend/therapist/barber recommended The Sopranos, he has also discovered good TV. He travels to Cyprus often, to visit family and be near the sea. 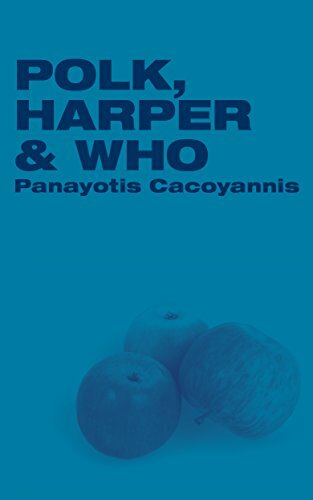 You can visit Panayotis’ Amazon author page if you click here. Someone is hunting the fantastical creatures of Catalina Island. When a magical amulet gives marine biologist Naomi Twain the power to see through glamours it plunges her into a world of danger and intrigue. Fantastical creatures are everywhere, but hidden, on Catalina Island—and someone is hunting them, putting at risk a unique, magical ecosystem. Corey Madrigal is bathing a behemi, a flying miniature pig, when Naomi crashes into his life. With a natural talent for seeing through glamours, he feels a responsibility to the creatures of his island home, creatures who were the friends of his childhood. Now, he’s a Hollywood special effects artist, and he’s going to be an amazing ally for Naomi in her quest to capture the hunters of the island’s fantastical creatures. But the hunters have their own agenda. Intense danger, wild storms, and passionate loyalties put to the test. Fantastical Island is a stand-alone adventure in the Old School series. 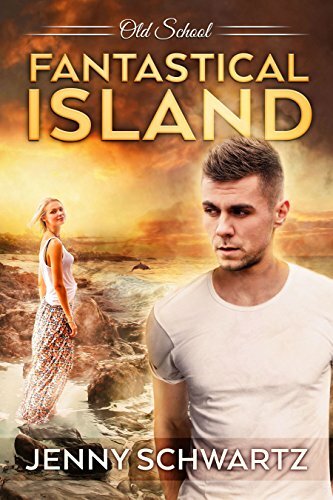 Click here or type in http://smarturl.it/hkdzvq into your web browser to pick up your copy of Fantastical Island in the Amazon Kindle store. 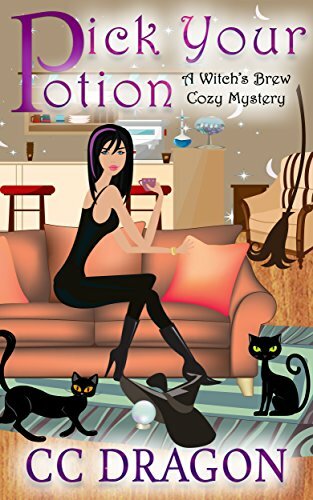 Click here or type in http://smarturl.it/poisonmypretty into your web browser to pick up your copy of Poison My Pretty in the Amazon Kindle store. 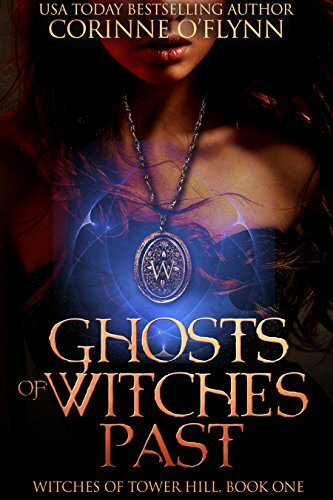 Click here or type in http://smarturl.it/3ir16k into your web browser to pick up your copy of Ghosts of Witches Past in the Amazon Kindle store. 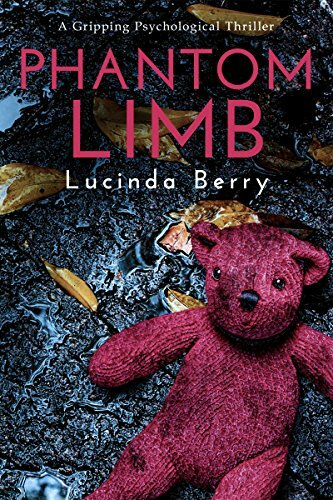 Click here or type in http://smarturl.it/phantomlimb into your web browser to pick up your copy of Phantom Limb in the Amazon Kindle store. In the past year Kate Anderson got divorced, beat cancer and started her own architectural firm. When she sees the announcement about her twentieth high school reunion only one thought comes to mind. No! Matt DeGraw has the career Hollywood dreams are made of and the gossip about his personal life that goes along with it. For Matt, thoughts of high school means remembering Kate and he decides that he’s waited long enough, it’s time to actually do something about it. Click here or type in http://smarturl.it/classof96 into your web browser to pick up your copy of Class of ’96 in the Amazon Kindle store. Lena McKenna thought she escaped her past when she earned a photography scholarship to a top university. It’s been two years since she’s seen her troubled younger sister Lux or set foot in the house haunted by the memories of her dead mother. Everything changes the day her father suffers a massive heart attack. Lena puts her dreams on hold and rushes home, only to discover that Lux has run away. As she cares for her dying father, Lena reconstructs the past, struggling to understand the betrayals and secrets that broke her family. Things get more complicated when Lena runs into a former crush, rekindling a romance she never thought possible. Eli brings light and joy into her life, challenging her fear of love. But how can she open her heart when everything around her is falling apart? As their father’s condition worsens, Lux leaves a trail of devastation in her wake. Lena must choose: escape her past and leave her sister–and her chance at love–behind, or turn and face the demons threatening to destroy them both. Click here or type in http://smarturl.it/v4rgli into your web browser to pick up your copy of Who We Are Instead in the Amazon Kindle store.